Today I want to talk about a functional gum. You know I have special interest on all these gums that provide some added benefits, so I am eager to taste and to talk about them. – VITAMINGUM Fresh. This product is packed in blisters with 12 coated pillows each. It comes in three flavors (cinnamon, spearmint and peppermint) and contains 12 vitamins (!). They make up to 10% of the Recommended Daily Value (RDV) per serving. The vitamins are A, C, D, E and a range of Bs, plus folic acid and BiotinThe taste has good lasting and the chew is nice. -VITAMINGUM Sport. This one comes in hollow balls packed in flow pack (each pack contains 4 balls) or in pouches containing 18 balls. There are three different flavors (grape, raspberry and bubble gum). The chew is surprisingly soft for a hollow ball and the cud volume is really big. It contains 25% of the RDV of the same vitamins as Vitamingum, so it is the “stronger version” of the former. 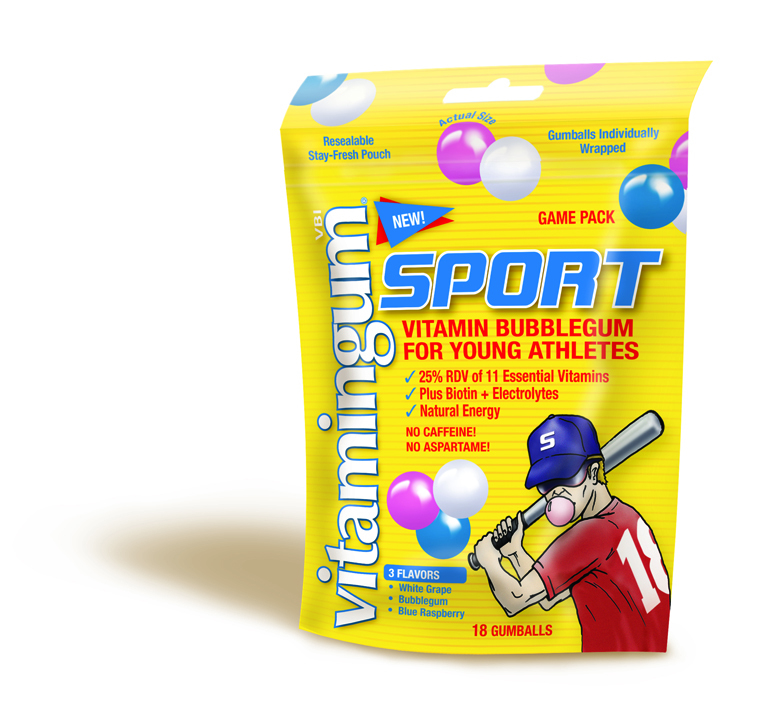 In theory, by chewing only 4 of these balls per day, we can get the level of vitamins that is recommended. Both products use Sucralose and Neotame as sweeteners and, in fact, use the claim of being “Aspartame free”. It has been in the market for some time already, so it not really a new launching, but it is, anyway, a good example of how to make good functional products.